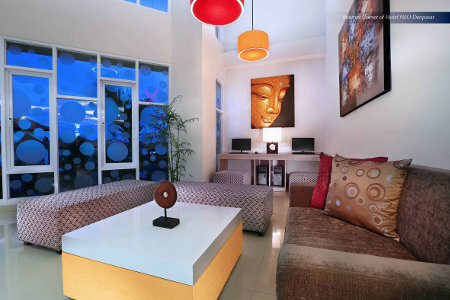 (Bali, July 15th 2015) – As of July 2015, Archipelago International is changing the name of its NEO Gatot Subroto hotel to become the rebranded NEO Denpasar. The rebranding of the hotel aims to strengthen the brand name by honing in on the more widely recognized Denpasar name, in comparison to the lesser known street location of Gatot Subroto. The rebranding shall also optimize search engine results for guests who are looking for a great quality hotel in the heart of Bali. The newly named NEO Denpasar first opened in 2014 as an eco-friendly hotel with 112 modern rooms and suites, all of which are non-smoking. Business travelers can make use of the three meeting rooms, free high-speed Wi-Fi, express check-in & check-out and ample parking space. Down time can then be enjoyed at the hotel's swimming pool and the signature "Noodles Now" coffee shop. Additional facilities include a hotel laundry service, security key card systems as well as 24 hour front desk services & security. "We are delighted to be rebranding our NEO Gatot Subroto hotel to become NEO Denpasar. Not only will the hotel be more recognizable to the domestic and international markets, it will also help our guests in their seach for a great quality and centrally located hotel in the capital city of Bali." Said Mr. Yohanes Sulistiyono Hadi, Regional General Manager of Archipelago International. Archipelago International is one of Indonesia's leading hotel operators with a portfolio of over 100 hotels and 15,000 rooms. As a continually expanding brand, Archipelago International has a development pipeline exceeding 95 properties in Indonesia, the Philippines, and Malaysia.